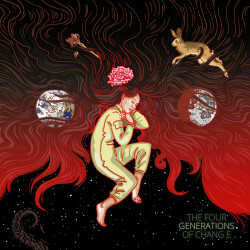 * I'm delighted to be part of the ensemble cast who narrated the amazing "The Four Generations of Chang E" by Zen Cho for the latest episode of The Drabblecast. If you listen, I hope you enjoy! * Here's a new Call for Papers that may be useful: "Monster Media in their Historical Contexts." * If you're interested in the updates J.K. Rowling has been making at Pottermore and/or the upcoming Fantastic Beasts and Where to Find Them films, I recommend checking out Chris Calderon's recent "The Allegory of Fantastic Beasts" guest posts on the Hogwarts Professor blog. 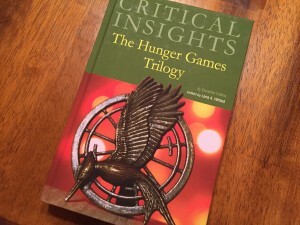 * Last, I'm happy to say that my essay "His Fordship in the Capitol and Big Brother in the Districts: The Hunger Games and the Modern Dystopian Tradition" is now out in the collection Critical Insights: The Hunger Games Trilogy edited by Lana Whited. Do you touch on the unfortunate trend in current dystopic fiction where they convey the (possibly unintentional) message that we should let the future generations deal with overthrowing the evil overlords rather than nip it in the bud now? 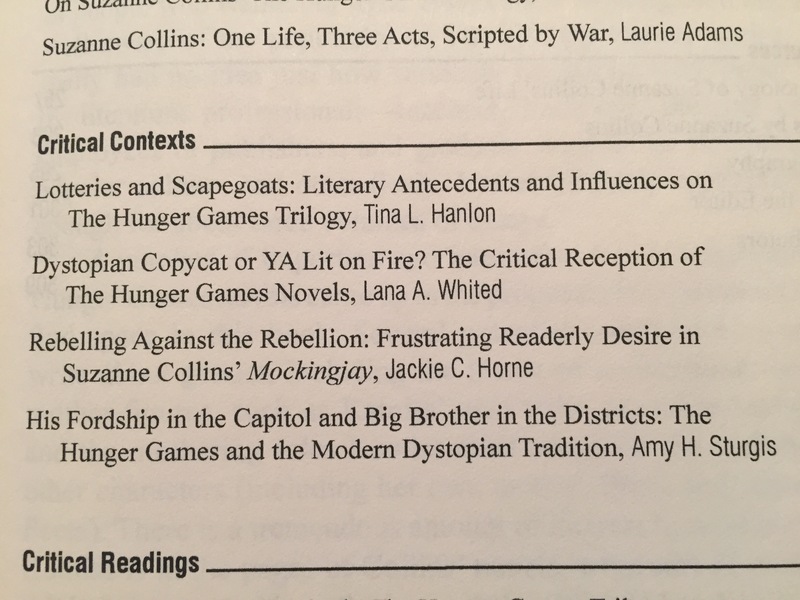 This piece is a bit more about THG's direct relationship to We, Brave New World, and 1984, but I know what you mean. 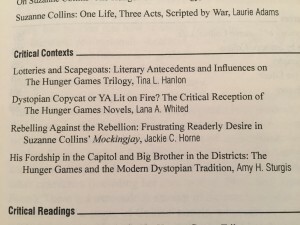 I tried to touch on that lack of agency on the part of the lead characters (just survive it, don't try to fix it) in my essay "Not Your Parents' Dystopias." It is a strange development, that lowering of the bar, isn't it? Also on the topic of dystopian fiction, Gareth Thomas died earlier this month. He's probably best known for portraying the title character of Blake's 7. Funny thing. Before I got some Blake's 7 DVDs, I had seen both Thomas and his fellow co-star Paul Darrow in Lovecraft-themed productions. Thomas in a mini-series called Children of the Stones, and Darrow in an unaired pilot called Rough Magick Initiative. Oh, I should've posted about Gareth Thomas! I tweeted about his passing, but I failed to post here. This grieved me. Blake's 7 is one of the 'verses I discovered through fanzines and novels and fan friends long before I had the opportunity to see the show (which I then happily devoured). It was a game changer; I loved how the Federation, contrary to Star Trek-ian expectations, was the evil empire, not the force of progress. RIP. Another hero gone. I hadn't made those B7-Lovecraftian connections. Fascinating stuff!